From today, Time Inc. is allowing Newsstand users to try its digital magazines before they buy them. You’ll be able to read a handful of articles from its latest magazines in full — as well as teasers for others — before you hand over any cash. 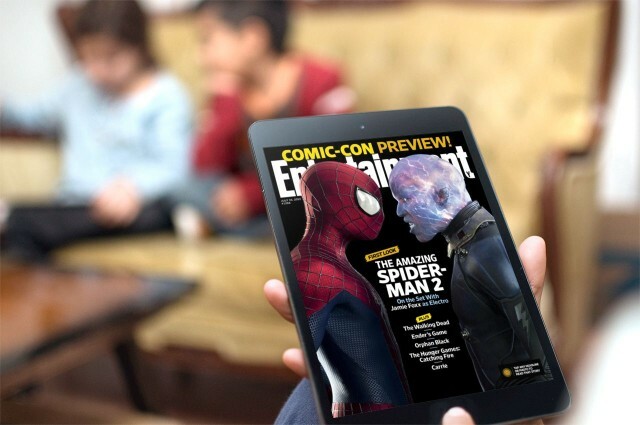 Entertainment Weekly is the first Time Inc. title to include this feature, but there are plans to bring it to all 21 of its Newsstand magazines — including Sports Illustrated, People, and Fortune — by the end of this year. Until now, you couldn’t preview anything inside these magazines until you purchased an issue or a subscription — you were simply greeted by a promotional splash page that gave a brief preview of the articles inside the latest issue. “Time Inc. officials said they’re only able to pull this off because they’ve been working with Adobe on a back-end system that allows them to easily change up their free offerings on the fly,” AllThingsD reports. Time Inc. is hoping the move will attract new customers and increase its number of digital subscribers. Time Inc. already has over 500,000 subscribers on iOS, an it’s adding 10,000 every week. But the company believes it can get that figure even higher by offering a try before you buy feature.